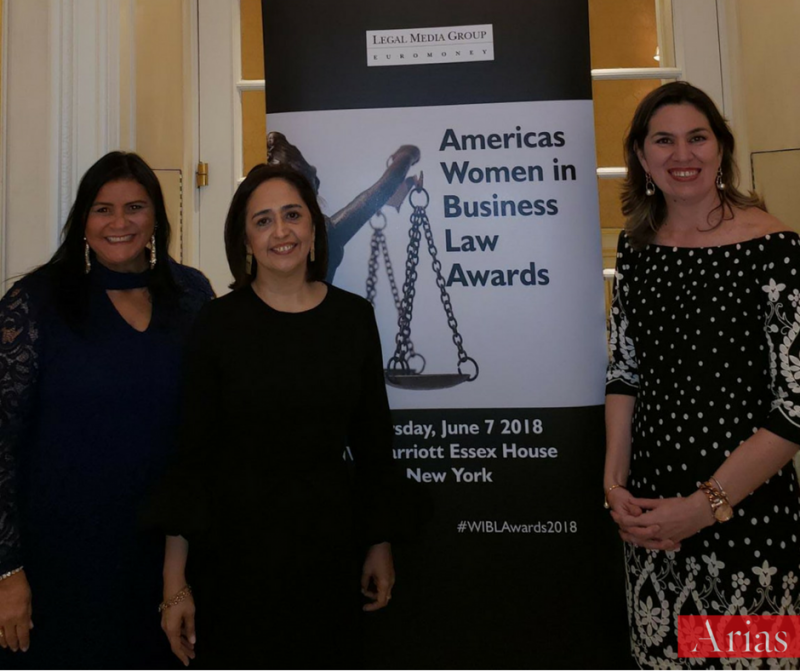 In the seventh annual award ceremony, Euromoney Legal Media Group "Americas Women in Business Law Awards", Arias is proud to be awarded in different categories that shows that our team of women place our firm among the best in Latin America, every day with their legal talent, Representing the best initiatives for gender diversity, innovation, pro bono work, among other categories. 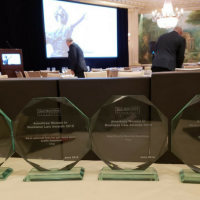 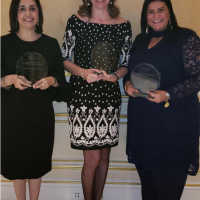 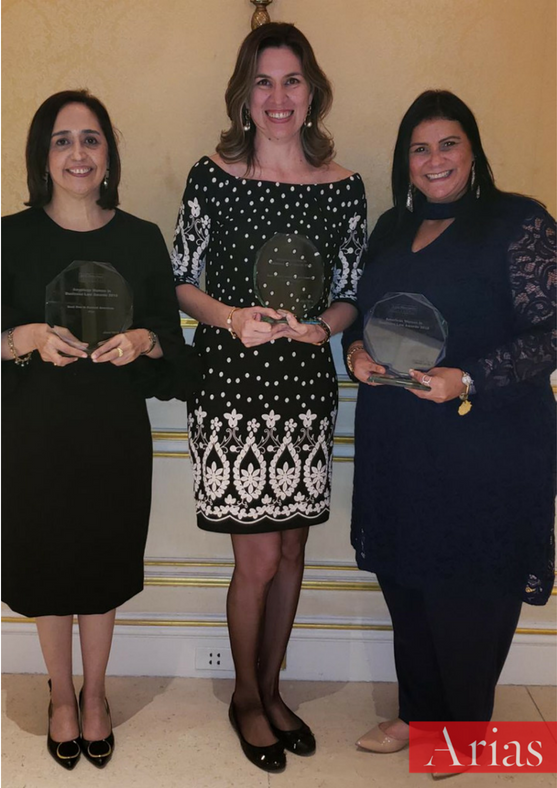 “Euromoney Legal Media Group will reward the best in-house teams as well as individual in-house women lawyers, as well as women rising stars and editor's choice awards for the best women lawyers in Latin America”. 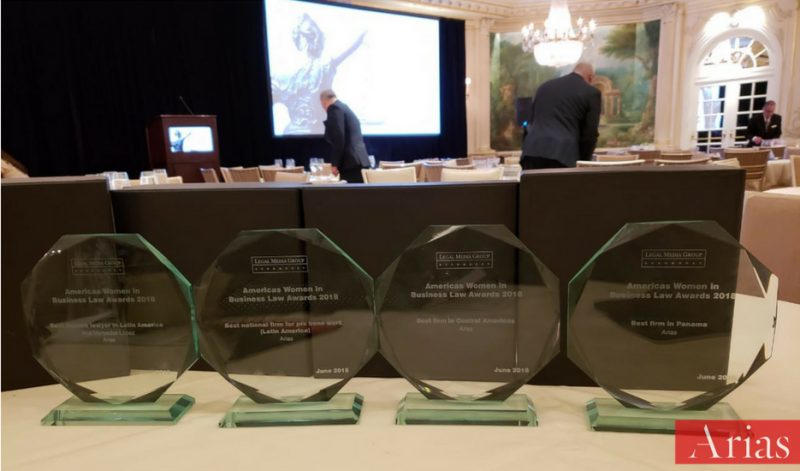 – Managing Intellectual Property. 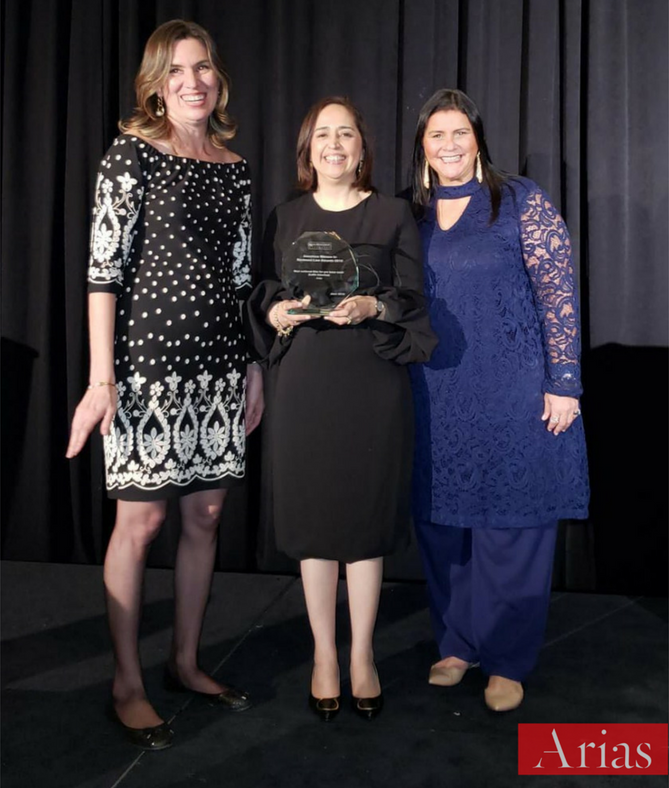 Best National Firm for Pro Bono work in Latin America. 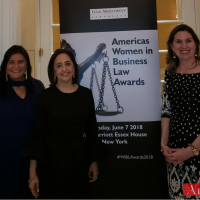 Best Firm for Women in Business Law in Central America. 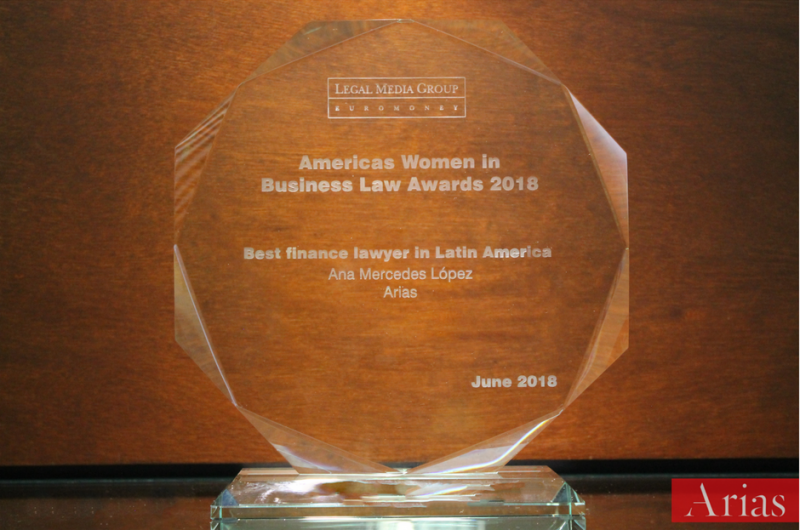 Best Firm for Women in Business Law in Panama. 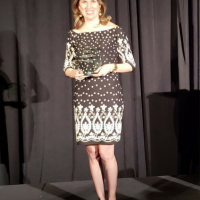 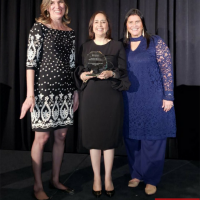 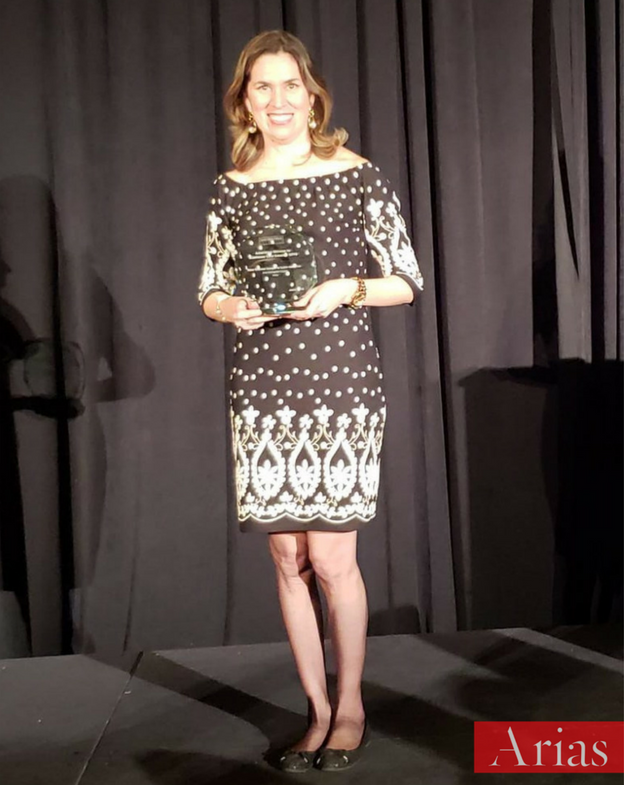 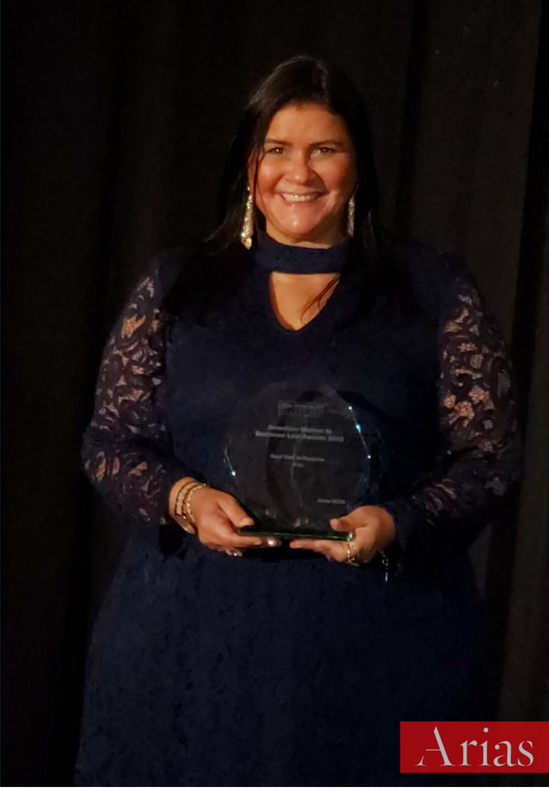 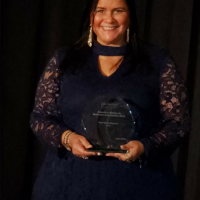 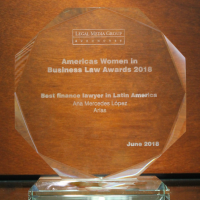 We want to make an honorable mention to our Partner of El Salvador, Ana Mercedes López for being awarded "Best Finance Lawyer in Latin America"; this only shows the achievements of her remarkable work and legal talent.